And the summer reading continues! 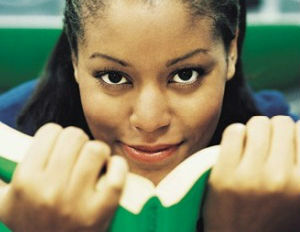 Last week the staff here at Black Enterprise shared the fiction books we’re excited to dive into this summer. This week, we’re tackling non-fiction. I’m Judging YouÂ is Ajayi’s debut book of humorous essays that dissects our cultural obsessions and calls out bad behavior in our increasingly digital, connected livesâ€•from the importance of the newest Shonda Rhimes television drama to serious discussions of race and media representation to what to do about your fool cousin sharing casket pictures from Grandma’s wake on Facebook. Beverly Johnson chronicles her childhood growing up as a studious, and sometimes bullied, bookworm during the socially-conscious, racially-charged ’60s. Offering glamorous tales about the hard partying of the 1970s and Hollywood during the ’80s and early ’90s, Johnson details her many encounters and fascinating friendships. Kill ‘Em and LeaveÂ is more than a book about James Brown, it is an unsettling metaphor for American life: the tension between North and South, black and white, rich and poor. McBride’s travels take him to forgotten corners of Brown’s never-before-revealed history. Part of the pleasure of his narrative is being in his presence, coming to understand Brown through McBride’s own insights as a black musician with Southern roots. Kill ‘Em and LeaveÂ is a song unearthing and celebrating James Brown’s great legacy: the cultural landscape of America today. InÂ Alter Egos, veteranÂ New York TimesÂ White House correspondent Mark Landler takes us inside the fraught and fascinating relationship between Barack Obama and Hillary Clinton–a relationship that has framed the nation’s great debates over war and peace for the past eight years. (1) Our Oriental Heritage. (2) The Life of Greece. (3) Caesar and Christ. (4) The Age of Faith. (5) The Renaissance. (6) The Reformation. (7) The Age of Reason Begins. (8) The Age of Louis XIV. (9) The Age of Voltaire. (10) Rousseau and Revolution. (11) The Age of Napoleon. Chris Rock. Jamie Foxx. Steve Harvey. Dave Chappelle. Some of the biggest names in American entertainment today all appeared at Raymond Lambert’s club All Jokes Aside, the legendary Chicago showcase for African American comedy, early in their careers. This insightful memoir follows up on Lambert’s critically acclaimed 2012 Showtime documentary,Â Phunny Business, and tells the story of his life as seen through the lens of All Jokes Aside–its successes, failures, and lessons learned. Chimamanda Ngozi Adichie offers readers a unique definition of feminism for the twenty-first century, one rooted in inclusion and awareness. Here is one author’s exploration of what it means to be a woman now–and an of-the-moment rallying cry for why we should all be feminists. Colin Powell reveals the principles that have shaped his life and career in memoir. It Worked for Me: In Life and LeadershipÂ is a trove of wisdom for anyone hoping to achieve their goals and turn their dreams into reality. The Loneliness of the Black RepublicanÂ examines the ideas and actions of black Republican activists, officials, and politicians, from the era of the New Deal to Ronald Reagan’s presidential ascent in 1980. ItÂ provides a new understanding of the interaction between African Americans and the Republican Party, and the seemingly incongruous intersection of civil rights and American conservatism. Interventions is getting new press after the Pentagon banned the book from Guantanamo Bay’s prison library.Â InterventionsÂ compiles a series of Chomsky’s columns. The Pentagon has refused to explain why the book has been barred. Based on newly released personal letters of Einstein, this book explores how an imaginative, impertinent patent clerk–a struggling father in a difficult marriage who couldn’t get a teaching job or a doctorate–became the mind reader of the creator of the cosmos, the locksmith of the mysteries of the atom and the universe. Let us know your summer non-fiction picks in the comments below.